Choice Hotels International, Inc. (NYSE: CHH) in collaboration with Holladay Properties, LLC and Nationwide Hotel Management Company LLC, today announced the opening of WoodSpring Suites Chicago Tinley Park. The hotel is located at 18636 West Creek Drive in Tinley Park, Ill.
"Choice Hotels is excited to announce the opening of the WoodSpring Suites Chicago Tinley Park, as it comes on the heels of our recent acquisition of the brand, and we expect this to be one of many WoodSpring openings to come," said Ralph Thiergart, vice president and general manager, extended stay brands, Choice Hotels. "This Chicago area property fits perfectly into our strategy of bringing the brand to more major markets across the country, and we look forward to guests experiencing this hotel." This is Holladay Properties' third WoodSpring Suites to open. The company also has a WoodSpring hotel under construction in Carol Stream, Ill., and two others expected to break ground within the next six months. 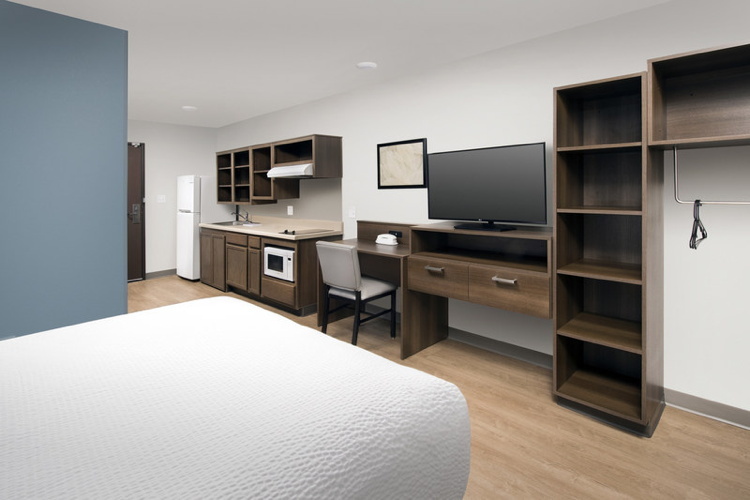 "We are thrilled to offer extended stay guests a great and affordable hotel option in the Chicago area," said Tim Healy, chief operating officer of Holladay Properties. "We are happy to be a part of WoodSpring Suites rapid growth across the country. This is our third WoodSpring Suites hotel project in the greater Chicago area and we've been welcomed by every community."